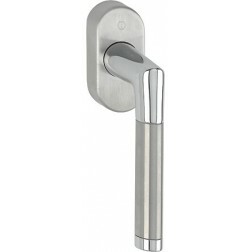 Tilt and turn window handle by Hoppe Capri series on oval rose. Compact, durable and brilliant. 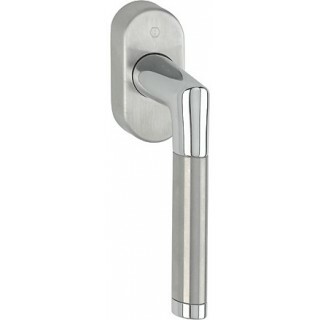 Available a single finishing for door handle Capri series made of brass metal and steel/polished chrome finishing. The handle hosting the Secustik mechanism, which increases the security of your windows. Shipped boxed with mounting accessories.